We are specialized in shower doors and mirrors installation. We have more than 2,000 installations (working as sub contracted), with a lot of expertise , quality and great price. Shea’s Glass Company has proudly served the greater Gainesville and North Central Florida marketplace since 1926. Our specialty is customer satisfaction no matter the size and scope of the job, no matter whether in the commercial or residential area. 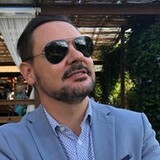 Our team of experienced personnel, from estimating to fabrication to installation, is dedicated to building relationships through great customer service while supplying the best selection of quality products. We work hard to exceed client’s expectations by providing business solutions and creating a lasting value. Whether your project is a window replacement or a multi-floor curtainwall structure Shea’s Glass has for over 90 years been dedicated to doing the job correctly, on time and within budget. 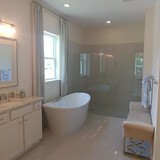 We are a Custom Shower Enclosure Company in Amelia Island and we service surrounding areas. 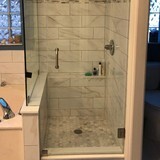 Frameless Showerdoor & Interiors Inc.
What can a local Jacksonville glass company help me with? If it’s a major home glass repair or replacement, the Jacksonville glass company should work directly with your insurance company to help bring down costs for you, if applicable. 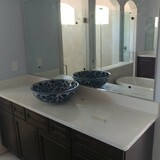 Find Jacksonville glass companies on Houzz. Narrow your search in the Professionals section of the website to local glass, mirror and shower door services in Jacksonville, FL and read reviews and ratings to find one that fits your needs.